The Shimoga airport which is about 6 km from the heart of the city is still under construction. The Mangalore International Airport is nearest to Shimoga and is preferred by people travelling to the city. The airport is connected to various Indian cities such as Delhi, Chennai, Hyderabad, and Mumbai. Flights are also operated to international locations such as Muscat, Dubai, Abu Dhabi, and Kuwait by several leading airlines such as Air India Express, Jet Airways, and Air Pegasus. Alternatively, you can consider the Kempegowda International Airport in Bangalore, which is connected to cities such as Mumbai, Goa, Lucknow, Hyderabad, and Kolkata via a spectrum of airlines. 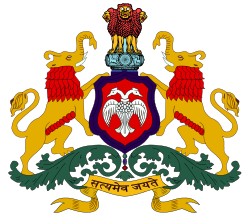 The Karnataka State Road Transport Corporation (KSRTC) serves to connect Shimoga to other neighbouring cities such as Bangalore, Hubli, Sringeri, and Dharmastala. The Sholapur-Mangalore Highway (National Highway 13) and the Bangalore-Honnavar Highway (National Highway 206) ensure Shimoga remains connected to other nearby regions. A bus ride from Bangalore to Shimoga will take between five and a half to seven and a half hours- the time depends on the type of bus and the operator chosen along with the prevalent traffic. Seabird Tourists, S.R.E. Travels, Sri Benaka Travels and Sri Krishna Tour and Travels provide services from Bangalore to Shimoga. The Shimoga Nagar Railway Station has trains running to and from Bangalore and Mysore. However, there are no direct trains from other major Indian cities. The most availed trains from this rail junction are the Inter City Express Connection train and the Shivamogga Express.